The famous quote from Hippocrates, “Let food be thy medicine and medicine be thy food”, stressed the importance of proper nutrition in maintaining health. His wisdom rings as true today as it did in his time. Most of the health issues that face present day North Americans are caused by a handful of lifestyle factors, namely eating poorly and not exercising enough. Being overweight leads to a myriad of negative health effects, such as heart disease1 and diabetes2. This is a serious problem, considering that half of Canadian adults are overweight3. A simple measurement of waist circumference4 has been shown to be a good predictor of long-term health. With busy lifestyles that center on work, food is often treated simply as a means to an end. The first and most important step towards a good diet is being aware of what you are eating and knowing what foods are good for you and which are not. The standard North American diet is low in fruit and vegetables and as a result leads to a range of negative health effects. Many studies have associated fruit and vegetable intake with reduced risk of heart disease5,6, diabetes7 stroke8 and premature death in general9. It may seem like simply good sense to eat plenty of fruit and vegetables but most people are below the recommended 5-10 servings per day. It’s been estimated that deaths due to not eating enough fruit and vegetables have reached 2.6 million per year worldwide. Increasing fruit and vegetable consumption to 5-10 servings per day could significantly reduce heart disease, stroke and cancer-related deaths. Diets higher in fruit and vegetables are also associated with general better physical and mental health10. Salads with berries, steamed vegetables, or sliced fruit/vegetables as a snack are a few great ways to get in your 5-10 servings. Although fat was considered the enemy11 in the past, we now know that it is an important part of the diet and which fats we choose is important. 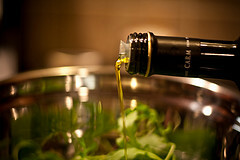 Ideal fat sources include extra virgin cold pressed olive oil12, fatty fish13, coconut oil, avocado and flax seed oil. Unhealthy fat sources include margarine14, canola oil, corn oil, peanut oil and vegetable oils in general15. Ideally olive oil and fatty fish should supply the majority of the diet’s fat. Over-consumption of refined carbohydrates, more specifically refined sugar16, is one of the biggest problems in the standard North American diet. Whole grains such as whole wheat and brown rice are ideal sources of carbohydrate as they naturally contain fibre. Fibre has many health benefits besides keeping you regular, such as aiding in weight loss, lowering cholesterol and lowering blood pressure. Much of the beneficial effects of fibre are likely due to its ability to control blood sugar levels. 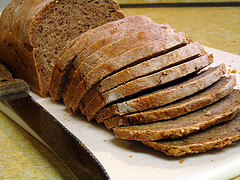 Healthy sources include whole grains, such as brown rice, quinoa, whole wheat breads, pastas and corn. Poor sources of carbohydrates include refined grains, such as white bread, white rice, white sugar, brown sugar, corn syrup, fructose, glucose, sucrose and potatoes. Protein is an essential component of any diet, as it is an integral component of every tissue in our bodies. Besides providing amino acid building blocks for protein synthesis, protein is also converted into sugar in a slow, controlled manner by the body. Eating high quality protein has been associated with having less belly fat17 and improved general fitness18. Good protein sources include fish, chicken, turkey, nuts, legumes and occasionally red meats. Unhealthy sources include processed meats19, such as hot dogs, bacon and processed lunch meats. Last, and certainly not least, is water. Though it is has no calories or vitamins, it is a very simple molecule which is involved in every process in our bodies and helps to keep us healthy20. Keep a water bottle on hand, it helps to get in the 6-8 glasses per day we need to stay hydrated. The ideal diet has been summed up nicely by the Harvard School of Public Health21. In short, half of your plate should be vegetables and fruit, one quarter of your plate should be whole grains and one quarter of your plate should be a healthy protein source. Water is the ideal beverage but tea is okay, avoid milk. They also recommend olive oil or canola oil, but I recommend sticking with olive oil. Portion sizes are the last piece of the puzzle. We must eat enough food to maintain a healthy weight, but no more. Over-eating is the ultimate cause of weight gain so self-control must be used to limit portion sizes. Hu FB, Manson JE, Stampfer MJ, Colditz G, Liu S, Solomon CG, Willett WC. Diet, lifestyle, and the risk of type 2 diabetes mellitus in women. N Engl J Med. 2001 Sep 13;345(11):790-7. Slater J, Green C, Sevenhuysen G, O’Neil J, Edginton B. Socio-demographic and geographic analysis of overweight and obesity in Canadian adults using the Canadian Community Health Survey (2005). Chronic Dis Can. 2009;30(1):4-15. Staiano AE, Reeder BA, Elliott S, Joffres MR, Pahwa P, Kirkland SA, Paradis G, Katzmarzyk PT. Body mass index versus waist circumference as predictors of mortality in Canadian adults. Int J Obes (Lond). 2012 Jan 17. Bazzano LA, He J, Ogden LG, Loria CM, Vupputuri S, Myers L, Whelton PK. Fruit and vegetable intake and risk of cardiovascular disease in US adults: the first National Health and Nutrition Examination Survey Epidemiologic Follow-up Study. Am J Clin Nutr. 2002 Jul;76(1):93-9. Carter P, Gray LJ, Troughton J, Khunti K, Davies MJ. Fruit and vegetable intake and incidence of type 2 diabetes mellitus: systematic review and meta-analysis. BMJ. 2010 Aug 18;341:c4229. Oude Griep LM, Verschuren WM, Kromhout D, Ocké MC, Geleijnse JM. Raw and processed fruit and vegetable consumption and 10-year stroke incidence in a population-based cohort study in the Netherlands. Eur J Clin Nutr. 2011 Jul;65(7):791-9. Genkinger JM, Platz EA, Hoffman SC, Comstock GW, Helzlsouer KJ. Fruit, vegetable, and antioxidant intake and all-cause, cancer, and cardiovascular disease mortality in a community-dwelling population in Washington County, Maryland. Am J Epidemiol. 2004 Dec 15;160(12):1223-33. Myint PK, Welch AA, Bingham SA, Surtees PG, Wainwright NW, Luben RN, Wareham NJ, Smith RD, Harvey IM, Day NE, Khaw KT. Fruit and vegetable consumption and self-reported functional health in men and women in the European Prospective Investigation into Cancer-Norfolk (EPIC-Norfolk): a population-based cross-sectional study. Public Health Nutr. 2007 Jan;10(1):34-41. Naughton T. The Low-Fat Craze: Let’s Go Back in TIME [Blog post]. April 26, 2010. 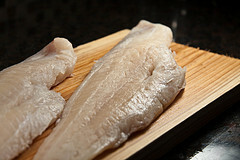 Retrieved from http://www.fathead-movie.com/index.php/2010/04/16/the-low-fat-craze-lets-go-back-in-time/. (February 18, 2012). Samieri C, Féart C, Proust-Lima C, Peuchant E, Tzourio C, Stapf C, Berr C, Barberger-Gateau P. Olive oil consumption, plasma oleic acid, and stroke incidence: the Three-City Study. Neurology. 2011 Aug 2;77(5):418-25. Strøm M, Halldorsson TI, Mortensen EL, Torp-Pedersen C, Olsen SF. Fish, n-3 fatty acids, and cardiovascular diseases in women of reproductive age: a prospective study in a large national cohort. Hypertension. 2012 Jan;59(1):36-43. Tavani A, Negri E, D’Avanzo B, La Vecchia C. Margarine intake and risk of nonfatal acute myocardial infarction in Italian women. Eur J Clin Nutr. 1997 Jan;51(1):30-2. Malik VS, Hu FB. Sweeteners and Risk of Obesity and Type 2 Diabetes: The Role of Sugar-Sweetened Beverages. Curr Diab Rep. 2012 Jan 31. Loenneke JP, Wilson JM, Manninen AH, Wray ME, Barnes JT, Pujol TJ. Quality protein intake is inversely associated with abdominal fat. Nutr Metab (Lond). 2012 Jan 27;9(1):5. Morenga LT, Williams S, Brown R, Mann J. Effect of a relatively high-protein, high-fiber diet on body composition and metabolic risk factors in overweight women. Eur J Clin Nutr. 2010 Nov;64(11):1323-31. Fretts AM, Howard BV, McKnight B, Duncan GE, Beresford SA, Mete M, Eilat-Adar S, Zhang Y, Siscovick DS. Associations of processed meat and unprocessed red meat intake with incident diabetes: the Strong Heart Family Study. Am J Clin Nutr. 2012 Jan 25. Roussel R, Fezeu L, Bouby N, Balkau B, Lantieri O, Alhenc-Gelas F, Marre M, Bankir L; D.E.S.I.R. Study Group. Low water intake and risk for new-onset hyperglycemia. Diabetes Care. 2011 Dec;34(12):2551-4. Harvard School of Public Health. 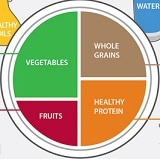 “Healthy Eating Plate – The Nutrition Source – Harvard School of Public Health”. 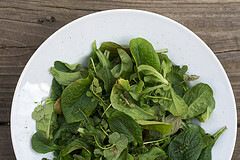 Retreived from http://www.hsph.harvard.edu/nutritionsource/healthy-eating-plate/. (February 18, 2012).